Trailer Park Boys will be making film number 3 for all their loyal wife beater wearing fans. Those poor Cineplex employees...gonna be cleaning up beer and vomit from the aisles of those screenings. 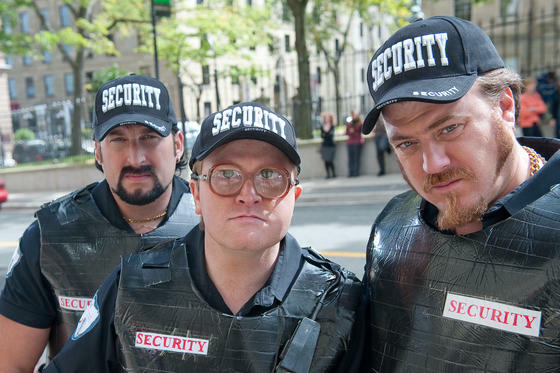 I was actually unaware that there were two movies based on the ridiculousness of Ricky, Julian and Bubbles. Thank God for Google...I now know the second movie was called Trailer Park Boys: Countdown to Liquor Day. If this wasn't the title of a TPB movie I would definitely adopt this countdown as my way to get through the week. Too bad it is. Production for the third film is set to begin in March 2013.